The Ergotron Neo-Flex Laptop Cart is built for those requiring movement and flexibility when it comes to home or office use. 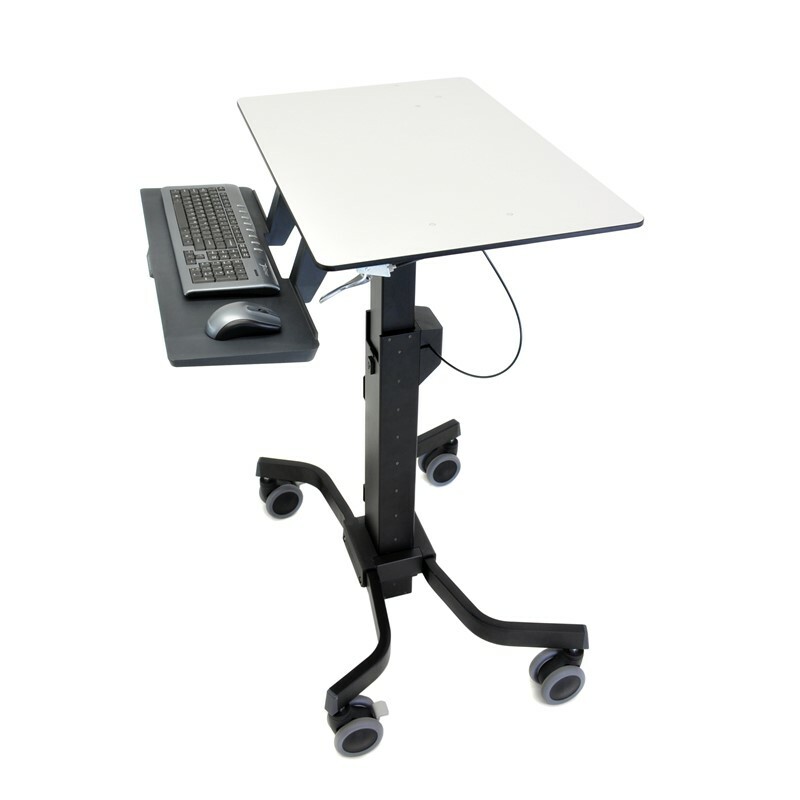 The portable standing desk is perfect for use in a hospital or in manufacturing as a EWI platform. 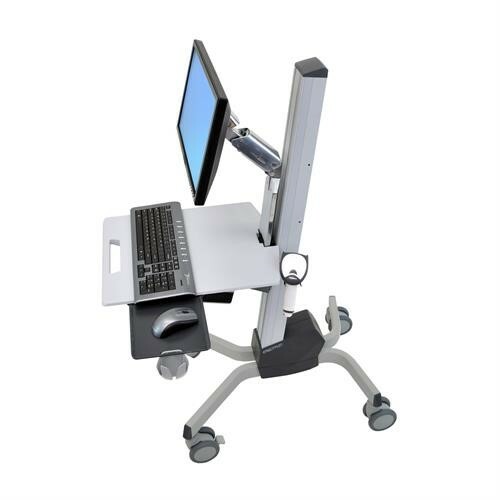 With a weight load of 7kg, the Ergotron Neo-Flex Laptop Cart can support almost laptop device ranging from 12” to 17”. Find a height that is comfortable for you with an easy to use adjustable frame that firmly secures your laptop in place regardless if you are standing or sitting. Mobile cart, can be used almost anywhere.